Hi. Welcome to our review of the biggest game ever. You’ve probably already played and beaten the game multiple times and spent hours and hours in its multiplayer. So why should you read our review? Because we’re professionals, damn it! Ok, that’s not the real reason. Other than the fact that learning about other people’s opinions is fun and informative, we’re going to tackle this a bit differently. Vidal and I have divided up the review — I’m doing the single-player off of the Xbox 360 version of the game and he will be tackling all multiplayer and co-op aspects off of the PC version. My single-player review will also be focused a bit more on story than it is on the game itself (be warned: there are some spoilers within), as you most likely already know if you like how the game plays. I’m going to be taking a look at how it lives up to its predecessor and where it succeeds and fails in what it is trying to do outside of the usual review mechanics. Vidal here. I’ll be taking a look at the Spec Ops portion of Modern Warfare 2 and whether or not Infinity Ward’s first attempt at co-op is a success. I’ll also talk about Modern Warfare 2’s multiplayer and how it stacks up with the original Modern Warfare. 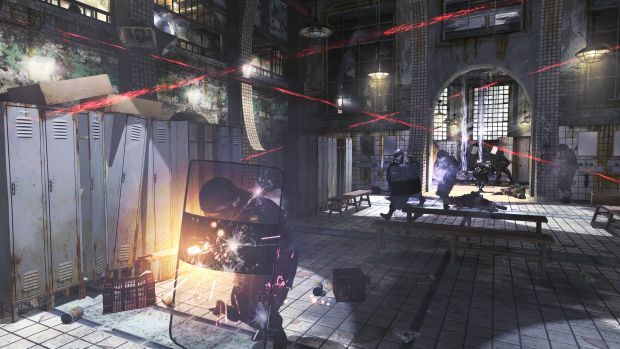 There have been plenty of changes from the multiplayer of Modern Warfare and there are definitely improvements over the original. Also on the chopping block is IWNet which, it turns out, is a very playable system but is the system the PC audience has been calling for this whole time? If you’ve played Modern Warfare you’ve played Modern Warfare 2. This isn’t a bad thing at all, of course. Taking one of the best FPS games ever and doing it again isn’t really something people should complain about. 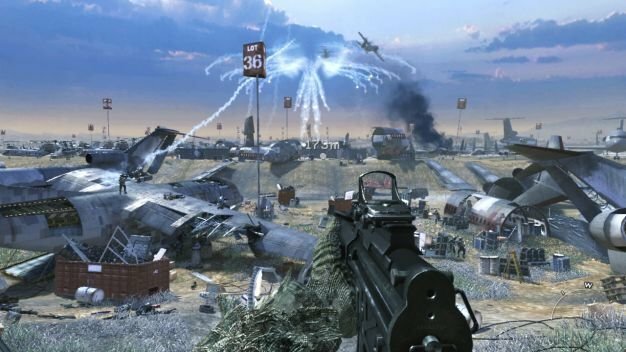 There have been some minor tweaks to the controls (well, minor if you aren’t a crazed MW fanatic) and a definite graphical update, but all in all MW2 is the same basic premise as Infinity Ward’s earlier masterpiece. If you liked the first game’s single-player gameplay, then there is no reason why you won’t like the second’s. Sadly, it seems that the fact that this is a direct sequel to MW is the game’s greatest downfall. See, Infinity Ward got a case of the “bigger, better, mores.” They made one of the best games ever and now they thought they had to make it bigger, make it better and make more of everything. Unfortunately, making something bigger and making more of it doesn’t necessarily result in making it better. Almost every aspect of MW2 is overblown. From its story to its level design, the game feels more like a Bond movie than a war game. 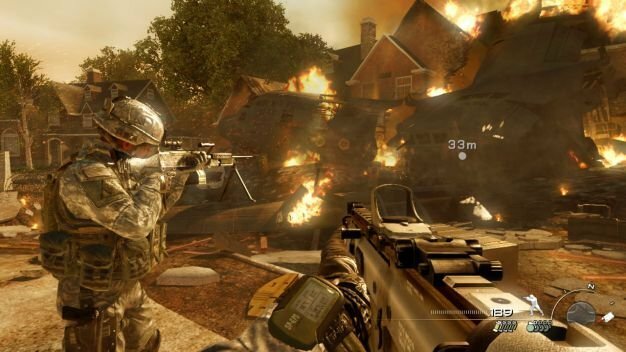 Instead of tackling the individual efforts of a group of soldiers, and digging into their stories, Infinity Ward went big and tackled war in general. In the process they lose what made the original game so unique and deliver a good action game instead of a great piece of art. The one-upmanship starts early with the now infamous ‘No Russian’ level. Here we have the perfect example of what seems to be Infinity Ward trying too hard. I love the idea of this level and think it raises a ton of great questions about morality and duty (in gaming and in war). However, it is so mishandled that it comes across as nothing more than IW trying to shock and awe. The level being so early in the game and involving a character you have yet to become attached to almost instantly negates the effectiveness of the scene. Instead the level comes across as the developers trying to top their previous game with something more shocking than the dropping of an atomic bomb in the first game. For a developer who told a story so incredibly well in MW, it’s disappointing to see them drop the ball like this. It isn’t just that one scene, however. The entire game tries to go bigger, and loses the genius of the previous one in doing so. One of the greatest parts of the previous game was when you had to literally crawl to your death after the nuclear explosion. It wasn’t big, it wasn’t action packed, but it was handled with such subtle care and so well timed within the story that it was possibly one of the most impactful moments in gaming. IW seems to have wanted to cram that moment into every moment of MW2, and you can’t do that, especially when you’ve seemingly lost the ability to be subtle. Every moment in the game felt like a massive gesture, and not a small touch, and it made for some ridiculously over the top fights, but a complete lack of character or attachment to anything since the game went so big. There were a few moments however, where MW2 managed to look down, realize it was jumping over a shark and slow its forward progress a bit. The ending had a decidedly intimate feel thanks to the fact that the game scaled back down from world annihilation to one-on-one battle. This is actually most clearly presented not by the impressive final battle, but a moment in the last stage where a simple soldier is killed. Soap and Price repel down the side of a cliff and stab two guards in the chest. The player, as Soap, must look into the eyes of the man he is stabbing, a man who thinks he is on the side of right. In that moment the game once again becomes about single soldiers like the first game was, and it’s that focus on the men, not the mission that is really missing from the rest of the game. All this being said, if I was going to rate MW2 as a dumb action flick (lord knows it borrowed from every single one out there, especially The Rock) I’d give it a ten out of ten. It even did some really incredible stuff with making videogames more cinematic in their action while still being interactive. This may have actually been the problem. IW seemed so obsessed with making the game a “cinematic experience,” they forgot that half the experience of great cinema is the story and the characters. They went too much bigger, and too much more(er) and it shows because all the little things are missing. Level design is a perfect example of this. While some of the levels are truly inspired, others just seem to be there for the sake of being there. Of course we have to fight through the White House, we’re in DC, but it doesn’t make for a very well designed level. And why are houses in videogames always so boring? The suburbs looked like no one actually lived there ever. It’s strange that the levels in the wide open suburbs and in a city as open as DC felt more claustrophobic than the crowded streets of a South American city and the halls of a Russian jail. I don’t bring this up as an idol complaint, either. It shows just how stale and lifeless the “big moment” levels were in comparison to the ones that did a better job of focusing on the goals of the few. 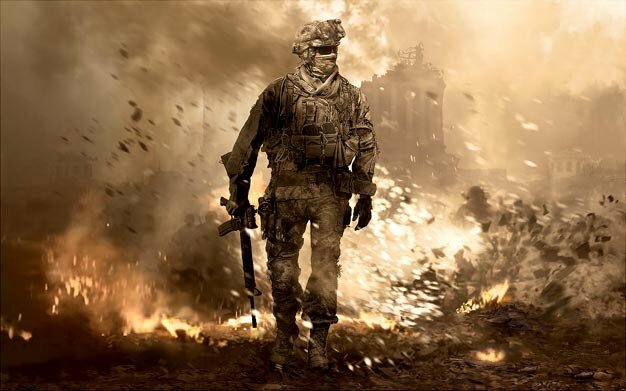 What MW2 lost in becoming a story so big, was its ability to tell a story that mattered. Yes, the world is going to war, but it doesn’t matter if we don’t care about anyone who got killed. That sounds terrible, but just think about the series’ name, Call of Duty. The call of duty doesn’t beckon to the world, it beckons to one man who puts his country and his family before himself, and when you lose the focus on that then it doesn’t matter how grandiose your story is, it’s not going to mean a thing. I suppose I should actually do some reviewing now. Great controls with some very impressive graphics. There are some seriously epic action sequences that get pulled off with amazing quality, and while I can argue the story is seriously lacking, it can’t be argued it isn’t epic. In fact, it may appear that I’ve just torn MW2 a new one, and left its story bleeding on the ground crying. In fact I really enjoyed the game, despite the levels being a bit short and my immense displeasure with the focus on bigger being better. So yes, everything above here was complaining, but if anyone ever says that Infinity Ward has delivered a bad game, they’re lying to you. In fact only a great game could be picked apart like this. Anyway, now that I’ve blabbered on about one single aspect of the game, Vidal is going to tell you about some actual gameplay.